This is a complete incubator and hatcher! 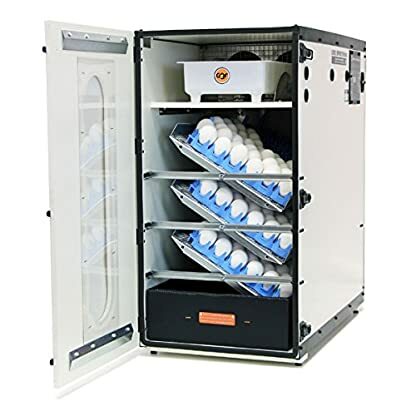 In addition to having three automatically turned racks, it has a hatching tray in the bottom of the incubator. 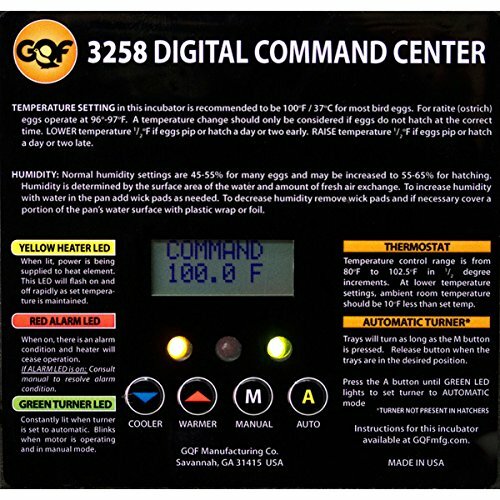 Offers an accurate digital thermostat with LCD display of Temperature and Humidity. An on-board computer monitors systems and the environment every second to keep itself updated and to share this data with you. The No. 1502 â€œSPORTSMANâ€ incubator offers an accurate digital thermostat with LCD display of Temperature and Humidity. An on-board computer monitors systems and the environment every second to keep itself updated and to share this data with you. Electronic egg turning control, audio/visual indicators and a standard easy view door highlight a number of standard features. The No. 1502 â€œSPORTSMANâ€ is a complete incubator and hatcher. In addition to having three automatically turned racks, it has a hatching tray in the bottom of the incubator. 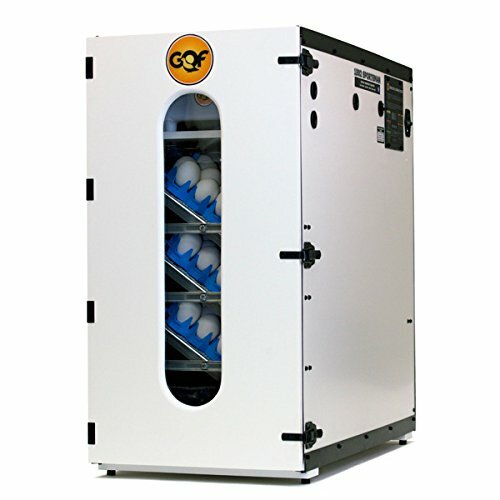 So if you are just getting started with a small flock, all you need is this one incubator. Set the eggs each week or so and then hatch the oldest setting eggs at the same time. Settings are rotated among the three turning trays so that the hatching tray can accept the eggs from one of the setting trays each cycle. Constructed from high strength plastic board making it well insulated, quieter, and easier to clean. 110-120VAC, 50/60 Hz, 325 Watts. TUV Listed. This incubator includes: – 1 #3258 Digital Command Center thermostat – 3 turning racks & 1 plastic hatching tray (no cover) – 1 moisture pan with 2 wick pads – Samples of paper egg trays for quail, chicken/duck (1 each) – Instruction booklet Total Capacity with plastic trays: 1368 Quail Eggs (set and hatch 250 per week) or 216 larger eggs, such as duck, etc. Each turning rack holds approximately 496 Quail Eggs, or 118 Chukar or Pheasant, or 90 small Chicken Eggs, or 40 Goose Eggs (not over 33/4â€ overall height), or 60 Duck Eggs. DIMENSIONS: 301/4â€ Front to Back, 153/4â€ Wide, 313/4â€ High. PLASTIC EGG TRAYS SHOWN IN IMAGE SOLD SEPARATELY. Total Capacity with plastic trays (Shown In Image, Not Included): 1368 Quail Eggs (set and hatch 250 per week), 354 pheasant eggs, 270 chicken eggs, 198 turkey or duck eggs, and 36-45 larger eggs such as goose, peafowl, and emu.